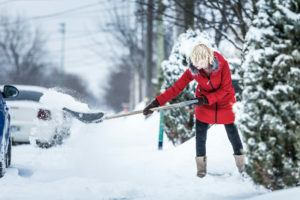 Winter is coming, so here are 8 Maintenance Tips for Utah County Landlords. As a homeowner, you know that preventative maintenance is essential to keeping your property in good condition. It’s even more important when you own or manage a rental property. Your tenants can’t be expected to stay on top of all the home repair and maintenance tasks. There are several items you should check off your rental management to-do list before winter sets in. If you live in a cold climate, the heating system will be running constantly during winter. Now is the time to schedule a furnace or HVAC cleaning and tuneup. If your rental property has a wood stove or fireplace, have it cleaned and make sure the flue is functioning properly. If you can’t think of the last time the chimney was swept, it’s probably time to call in the pros. Insulation in the crawlspace and ceilings will prevent warm air from escaping. 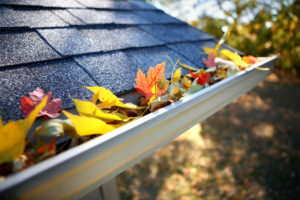 Repair or cover any openings or holes under the eaves that could allow rodents to take refuge in a cozy attic. Use weather stripping or caulk to seal gaps around windows and doors — this will improve energy efficiency in your property, whether it’s hot or cold air you’re trying to keep out. Avoid frozen pipes this season by adding extra insulation to exposed pipes in the crawlspace, basement or attic. 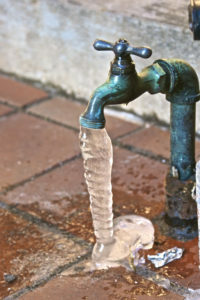 Damage due to frozen pipes is common but completely preventable. Exterior faucets and hoses should be drained and shut off. Educate your tenants about what they need to do when the temperature drops, such as leaving a trickle of water on overnight, leaving cabinet doors open and keeping the thermostat at a consistent temperature. It’s a dirty job, but putting it off can result in a bigger mess come spring. Check downspouts for cracks or split seams and be sure they drain away from the foundation. Use extensions or splash backs to prevent water from seeping into the crawlspace or basement. Wood is susceptible to deterioration in any climate. Check boards for rot or signs of insect damage. Secure any loose steps or railings, and consider using a non-slip paint or epoxy to keep your deck, porch and stairs slip-resistant. Repair or replace damaged or missing fence pickets and make sure posts are secure — a windstorm can easily knock down loose fencing. The end of daylight saving time serves as a natural reminder to test all smoke and carbon monoxide detectors and replace the batteries. Remind your tenants to be prepared for power outages by keeping water, food, flashlights and emergency phone numbers on hand.